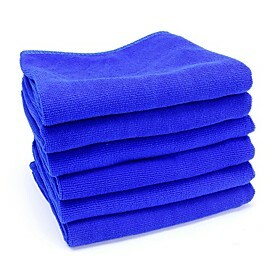 MICROFIBER GLASS CLEANING CLOTHS 10 PACK 40 X 40 CM FEATURES Diamond weave powers through dirt and residue Effective in cleaning surfaces in a streak free and lint free manner Ideal for windows, glass and mirrors 40 x 40 cm 10 cloths per pack PACKAGE CONTENT 1 x Microfiber Glass Cleaning Cloths 10 Pack 40 x 40 Cm Note: This order will be dispatched from our Melbourne Warehouse. This item may arrive in a separate delivery to the rest of your order. Usual dispatch time is 1-2 business days from order.